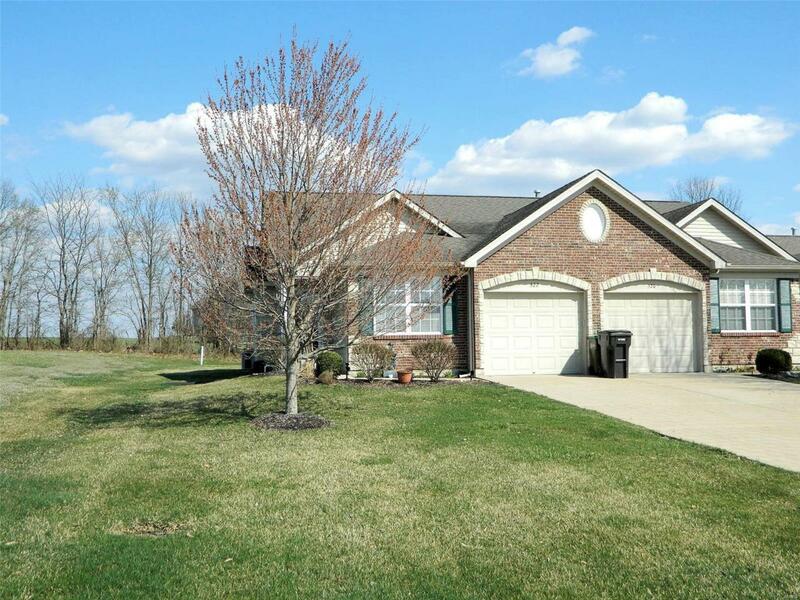 Darling Villa With Lovely Brick & Stone Front On Level Lot Backing To Wooded Area! Wood flooring in entry foyer opens to large open floor plan with vaulted ceiling and spacious great room that flows into vaulted kitchen with lots of cabinets, breakfast bar and pantry! Large master bedroom with walkin closet connects to large full bath with double sink! Nice size second bedroom and main floor laundry room! Oversized one car garage and full basement! Out the sliding glass door in kitchen, you will enjoy your own private patio and yard! !